The Basques have built around their language an original and creative culture, marked by many different influences. Basque culture is largely carried by men and women who are often more active players rather than just passive consumers ... Its emblematic practices and its genius creators offer the rest of the world an artistic face which is both singular and modern. 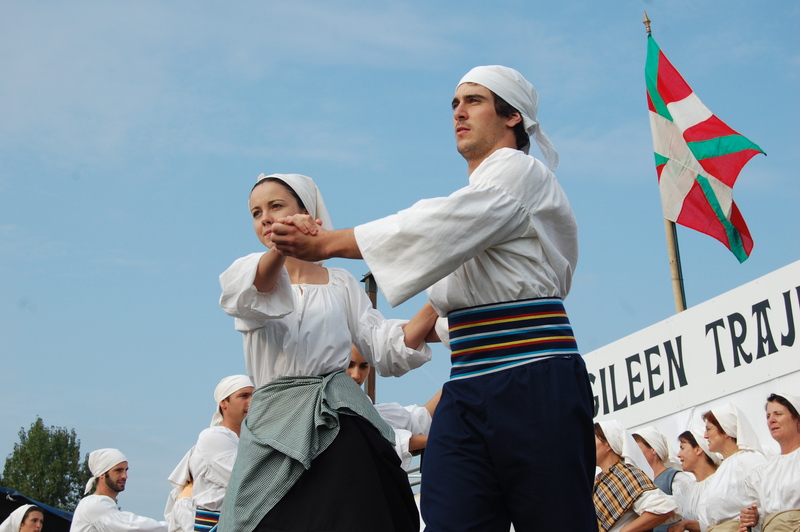 Behind these words, there is above all a cultural experience shared by men and women who participate rather than consume an artistic reality: Basque culture is above all a participative and popular culture.. Cultural activities are far from being confined to folkloric demonstrations. These daily practices shape a cultural expression open to outside contributions. Basque music and song are perhaps the best illustration of this inclusion of contributions by globalisation to local heritage: today Basque improvised poetry is sung in the traditional a capella style to old tunes and creations inspired by Latin, rock, funk and jazz, etc. are also performed in Basque too. The phenomenon of improvisation is the most striking example of the way in which the most typical expression of Basque heritage has adapted to today's world. Practiced for centuries by poets from the countryside, this sung versified improvisation has today become the favourite field of expression for young Basque-speakers from the Basque Country's urban areas just like rap elsewhere in the world. For some improvisation has even become their profession. It is also worth highlighting the fact that beyond its popular dimension Basque culture is also a culture of professionals, artists who live from their art, dedicating all their energy to contemporary creation.